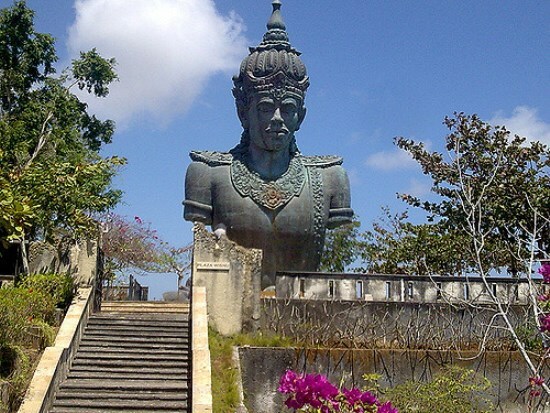 Garuda Wisnu Kencana Cultural Park (GWK) stands as non-beach popular tourism spots in Bali. 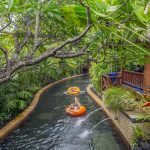 This park was located in the southern part of the island of Bali. On the headland of Nusa Dua, Badung regency, about 40 kilometers south of Denpasar. 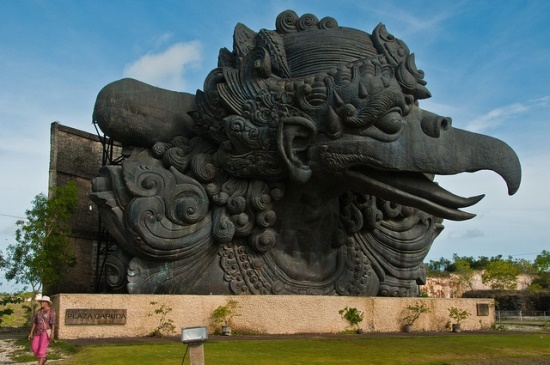 In this cultural garden area, a new landmark or mascot of Bali, a giant statue of Lord Vishnu who is riding his ride, Garuda with 126-meter height is planned to be built. 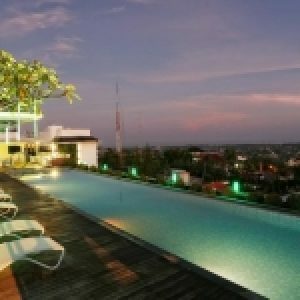 Garuda Wisnu Kencana located in the very strategic location, in the main gate from Denpasar to the Balangan Beach, Coastal Pandavas, Melasti Beach, Dreamland Beach, Suluban, Padang Padang and Uluwatu. Garuda Wisnu Kencana also situated in the highlands, you can see the sights of Kuta and Denpasar from here. 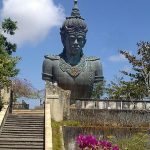 What can we do in Garuda Wisnu Kencana? At this time, Garuda Plaza is the focal point of a large hall carved limestone pillars which cover more than 4000 square meters of open space called Lotus Pond. Limestone pillars colossal and monumental sculptures in Lotus Pond Garuda gives us exotic atmosphere. Lotus Pond is not actually “pond with water”, but an opened space that usually been used for national and international events. It can accommodate up to 7.000 people. 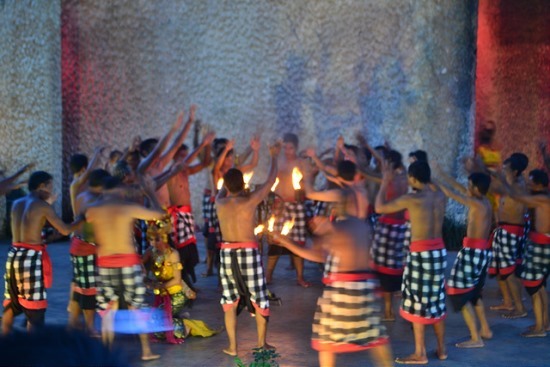 For example, you can see epic Kecak dance performance here with hundreds of dancers (at 18.30-19.15). Garuda Wisnu Kencana statue is planned to be built with visibility up to 20 kilometers. In the future, this statue can be seen from Kuta, Sanur, Nusa Dua, and also the Tanah Lot. This statue becomes a symbol of the environmental rescue mission and the world. This statue is made of a mixture of copper and steel weighing 4.000 tons, with a height of 75 meters and width of 60 meters. Then when the construction of statues completes, the statue will become the largest statue in the world, replacing the Statue of Liberty to the second place. Kencana shop in the Cultural Park has a lot of unique souvenirs. You can bring all the items home as your gifts to your family and friends, and I’m sure that you will surely be expecting your next visit to Bali once you have been here! 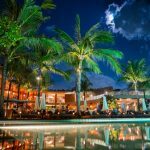 Don’t forget to visit Jendela Bali restaurant which has a beautiful view of the West Coast (Kuta, Jimbaran, and Seminyak Beach) to the east coast (Tanjung Benoa and Sanur Beach). 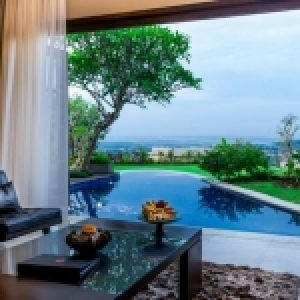 Not far from Garuda Wisnu Kencana Cultural Park, ACALA Villa offers panoramic sea views and a natural ambiance of Bali culture. 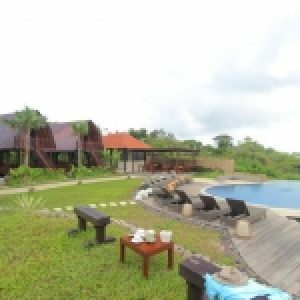 ACALA villas concept were made to blend naturally into the lush greenery, giving us a nice sunset view in the afternoon. To enter Garuda Wisnu Kencana area, we need to pay 50.000 rupiahs (for local) and 100.000 rupiahs (for foreigner). There is also photo studio service with prices started from 100.000 rupiahs for 1 background shot. 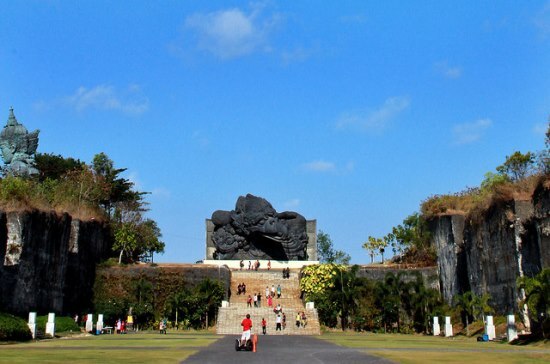 Garuda Wisnu Kencana is located about 17 kilometers from Kuta or 11 kilometers from Ngurah Rai Airport and can be reached by car of about 30 minutes. The taxi fare is around 250.000 rupiahs from Kuta or 200.000 from Ngurah Rai Airport or you can also ride ojek or rent a car from Denpasar or Kuta.